In the middle of Christmas rush before Christmas peace is declared, speedy futsal games is our recommendation! 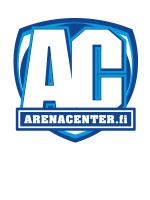 Futsal tournament X-MAS Futsal 2019 is coming again to Arena Center Myllypuro and Hakaniemi on 21.-22.12.2019. Tournament offers tough games for adults before well deserved Christmas break. Registration for the tournament starts in the summer of 2019. Do you need game outfit for you or your team? Check out AC Store's game outfit offer!